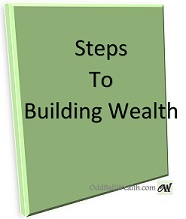 Building financial wealth is something we all think about but rarely take the time to create a plan. Here are four simple steps to help you create your own plan. Start taking action today! The first step to gaining financial wealth is to take the time to wright down all of your short-term and long-term financial goals. After you’ve wrote down your goals prioritize them. Take the time to read them every day so that they’re embedded in your mind. 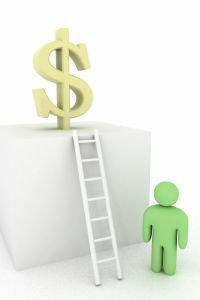 In order to become financially independent you need to look at where you are now financially and what you need to do to reach your financial goals. Start making a list of what you spend your money on daily for a month. This will give you a clear sense of what you’re spending your money on and where you can cut back. You’ll be surprised to find out how fast small everyday purchases like a cup of coffee adds up in the long-run. After you created your budget and journalized your daily spending habits now it’s time to decide where you can cut back. Maybe instead of buying that daily cup of coffee brew your own at home. It’s a well-known fact that individuals who continue to update existing skills and learn new skills earn more raises and receive higher pay throughout their career. This year, aid your community continuously celebrate local business right into the night.